Lockheed Martin has thrived in South Carolina for over 30 years as one of the state’s most enduring aerospace companies. In August 1984, Lockheed Aircraft Service Company established operations in Greenville, South Carolina, at what is now known as the South Carolina Technology and Aviation Center (formerly the Donaldson Center). The “Lockheed Aeromod Center” (LAC) was chartered to provide affordable, world class aircraft maintenance, repair, and modifications to domestic and international customers. Through the years, LAC evolved into Lockheed Martin Aircraft Center and eventually into Lockheed Martin Greenville Operations. The original footprint of the two hangars and one office building, located at the former U.S. Army Air Force base, quickly expanded to accommodate the influx of military and commercial aircraft. The inaugural team of 12 employees welcomed a P-3 Orion maritime patrol aircraft to the facility as the first aircraft in work. Since then, the Lockheed Martin Greenville team has exponentially grown in workforce, delivered nearly 3,000 aircraft to customers worldwide, volunteered thousands of hours with local organizations, provided millions of dollars in philanthropic contributions, and has an annual economic impact of $100 million to the surrounding area. Today, the site occupies 16 hangars on 276 acres and continues to provide nose-to-tail aircraft sustainment including modification, maintenance, repair and overhaul services for both military and civil aircraft. In addition, it was recently selected as the Final Assembly and Checkout (FACO) site to manufacture the company’s T-50A aircraft offering in the U.S. Air Force’s Advanced Pilot Training competition. Over the past three decades, the site has provided world class and affordable sustainment services to thousands of aircraft such as the C-130, P-3, C-5, KC-10 and C-9. EDGE: Tell us about Lockheed Martin’s workforce – what skills are needed? Don Erickson: We need a highly trained and skilled workforce: certified avionics, airframe, sheet metal and power plant technicians, structural and avionics engineers, and people with production control and procurement knowledge. Many of our employees have former military/ aircraft maintenance experience. 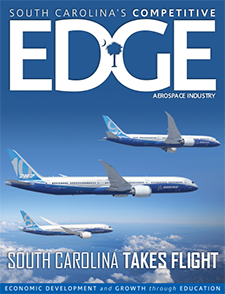 EDGE: Over the years, how has the SC Technical College System helped to provide your skilled workforce? DE: The Aircraft Maintenance Training program offered by Greenville Technical College is approved by the Federal Aviation Administration and Veterans Affairs and provides students with the technical, mechanical and academic skills required to become aircraft maintenance technicians. This program has the potential to benefit the Greenville community by training men and women to be excellent aviation maintenance technicians, capable of working at a number of establishments in the market, thereby providing a good income for themselves and their families. Since 2007, Lockheed Martin has been a consistent supporter of this program and has funded an endowed scholarship, originally established in the name of Lockheed Martin. 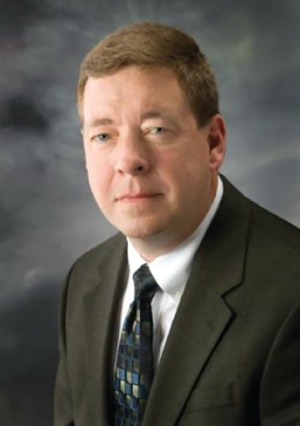 EDGE: Do you foresee any new challenges that the SC Technical College System and readySC™ could help to overcome? DE: We foresee a number of opportunities in the near future where both Greenville Technical College and readySC can provide support. The two primary areas will be backfilling for an aging workforce and, more importantly, supporting any potential rapid staffing buildup as a result of competitive awards for the site. EDGE: If you were to recommend readySC and the SC Technical College System to another company, what would you say? DE: Both groups have demonstrated a responsive, flexible approach that successfully supports our dynamic business needs. We are grateful to be able to work with their teams. EDGE: Is there anything else you’d like to add? DE: We look forward to multiple opportunities in the near future.